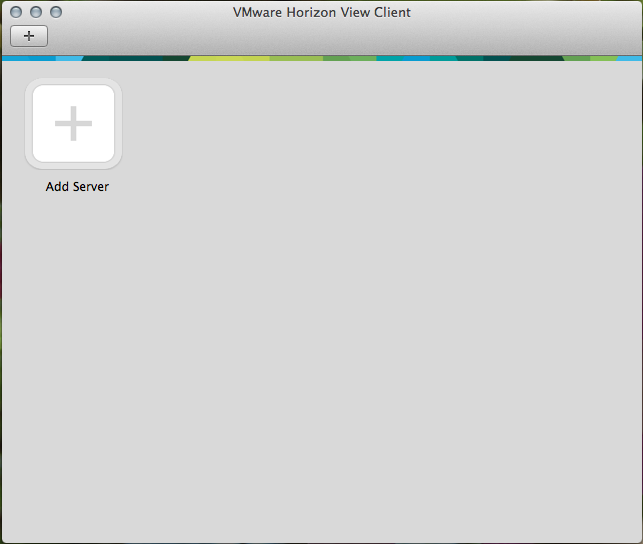 Select Install VMWare Horizon Client. 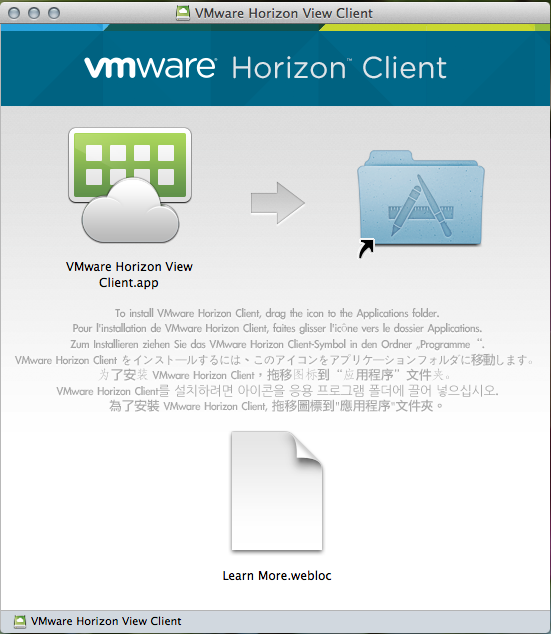 Download the Mac VMWare Horizon Client. Begin the install by double-clicking the file. 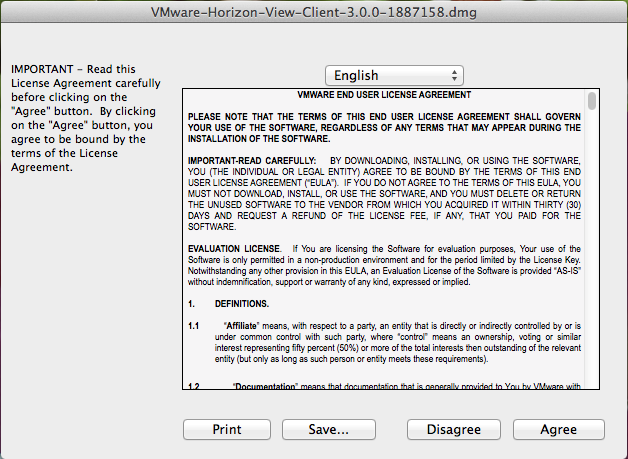 First you must agree to the EULA by clicking "Agree"
Click and drag the "VMWare Horizon View Client.app" to your applications folder. Launch the application and click on "Add Server". 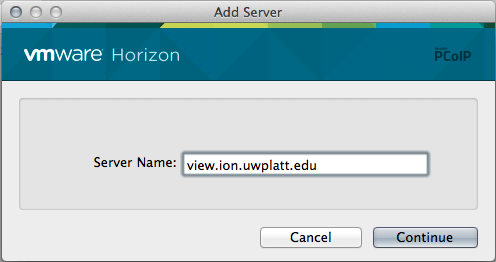 Enter the server address "view.ion.uwplatt.edu" and click "Continue". 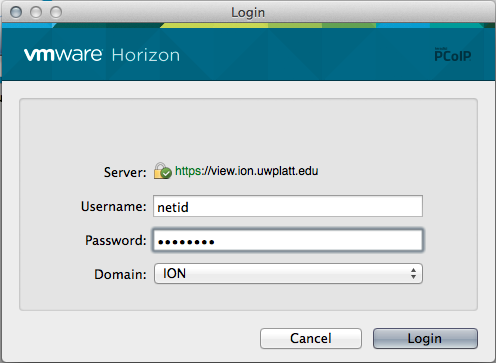 Login using your campus credentials. Enter your NetID and password and click "Login". Once logged in, you should see a list of the desktops which are available to you. To launch a desktop, double click that desktop.